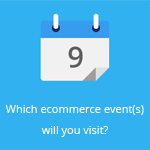 May 28, 2013 by Ecommerce News. About Logistics with tags Germany. 3018 views. Staff members of Amazon Germany staged a daylong strike yesterday, demanding better payments and benefits. Trade Union Verdi called on workers at Amazon’s logistics center in Leipzig to stop working from 12:30 p.m. ET. It’s the second time within a month workers at Amazon’s logistics centers have staged protest against the global internet retailer. Two weeks ago, around 300 workers from Leipzig and 600 workers form Bad Herzfeld protested against Amazon, demanding for higher basic pay and bigger supplements for night shifts. In total around 9000 people work for Amazon in Germany. In an official press release, a representative for Verdi said: “We want to show that Amazon is not some kind of idyllic world, but rather a place dominated by great dissatisfaction with working conditions.” The union is looking at a rise in the worker’s wages to at least 10.66 euros per hour in Leipzig and 12.18 euros per hour in Bad Herzfeld. Verdi is, at least for the workers in these two places, seeking a collective agreement, as well as vacation and Christmas bonuses.